UX Design has a broad meaning and is essentially User Experience Design or Interaction Design and User Interface design. This is mainly centered on the design preferences of the organizations however they are developed keeping in mind the user and as to how the user will react and be influenced by the type of design technique and style they choose. This is mean to provide a richer and more meaningful experience for the end user. UX Design or User Experience Design as defined above is all about designing in order to ensure a good user experience. The user experience when interacting with your website or system is something that is given more importance . This is a trend also observed with one of the major search engines, Google. There are many factor that affect the ranking of a website and one of them happens to the user experience level as well. When interacting with a human being you will almost instantly form a mental profile about the person based on the experience of your interaction with the person. The same applies to a website too. Once you do surf onto a website, after having interacted with it for a couple of minutes you will tend to form a mental profile of the user experience level of the website. This may include several elements like ease of use, relevancy, usefulness besides others. There was a time when websites were build simply to make sure a firm had a web presence. However we have come a long way since then and it is no longer a web presence that his necessary, but it is almost assumed by the average consumer that their favorite brand or even a less known product from a fairly new organization will be listed on the website of the organization. But what also matters is how the information is presented and its ability to draw the user’s complete attention. It should ideally be impressive enough to make the use want to share what he sees. The common perception of what a website should be used to be quite different in the past. It was more about making sure that the client is satisfied rather than the end user. The design thus developed was more about the preferences of the client who usually did not have an in-depth knowledge of the field and how to implement correct strategies. With more effort being spent on the aesthetics and the brand and almost no though going into how the user will react when interacting with the website. This design process has slowly and silently undergone a change from not taking the user’s perspective into consideration to making sure the website design is such that it is appealing to the right set of audience. This has also resulted in first setting the target audience when setting out to design a website. A website designed these days is now influenced by a long more and broader range of factors like the targeted audience, accessibility, ease of use, providing a better experience and impression that encourages the visitor to share their experience or finding with their friends and relatives. Thus the common takeaway from what the website design is slowly evolving into is the user experience level. The website design these days is thus more user centric and personalized. The UX Design you develop with most likely not hold for every situation and every user since it is more about delivering a very specific user experience to a set of targeted audience. Thus while it will deliver the right punch to the relevant users it have an adverse effect on the other type of users that haven’t been targeted. Although the reactions and behavior of the users cannot be predicted in great detail it is possible to design the user experience level on a certain type of group of people that matter the most as far as the website is concerned. 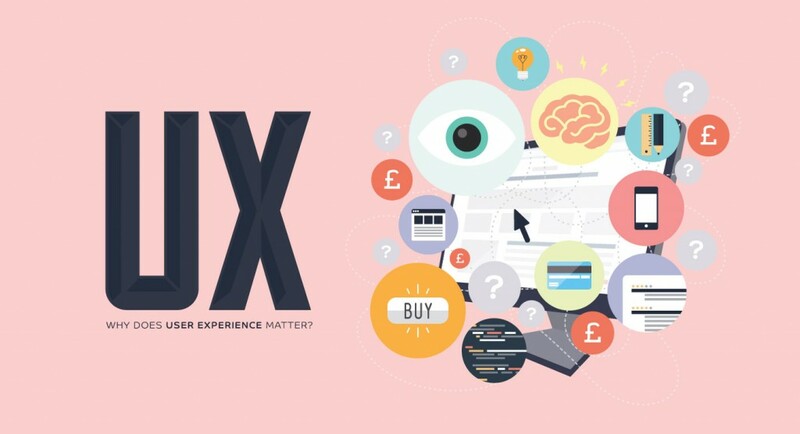 The UX design thus is not about providing a good user experience for the masses but rather making sure that the website design has an objective, set of goals and values that influence the design process. While usability is more about user friendliness of the website and making sure that the user does not get lost in the flow of the website or left guessing on how to navigate around the website, user experience is something quite different. User experience is more about how the user will react after interacting with your website. Although the average user is not a critic, they do tend to subconsciously form perception about the website based on their experience using the website and the level of interactivity. A complete different set of rules apply when measuring or deciphering the statistics gathered using the common techniques. In fact there is no statistic that can measure the user experience level and hence this is something that cannot yet be measured. Alakmalak is a firm that has been around since a very long time and witnessed the massive and rapid shift from demand of static HTML websites to dynamic CMS websites. Over the years they have developed more than 2000 website for clients across the globe. They have been highly successful at doing this and continue to grow and expand their capacity, strength and infrastructure. Thus with an explosive combination of highly skilled and experienced web developers, good infrastructure and facilities and ample resources at hand, Alakmalak is always a safe bet.